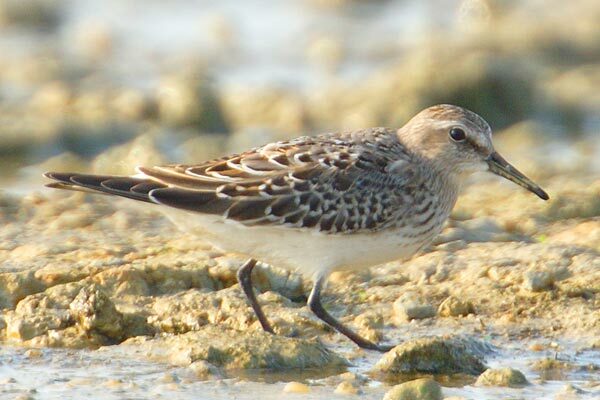 A common Nearctic species breeding in the arctic and wintering in many parts of South America. As such it is a common vagrant to Britain, at least annually. The left photo is an autumn juvenile in Britain, the other an adult moulting from breeding to non-breeding plumage in Argentina. 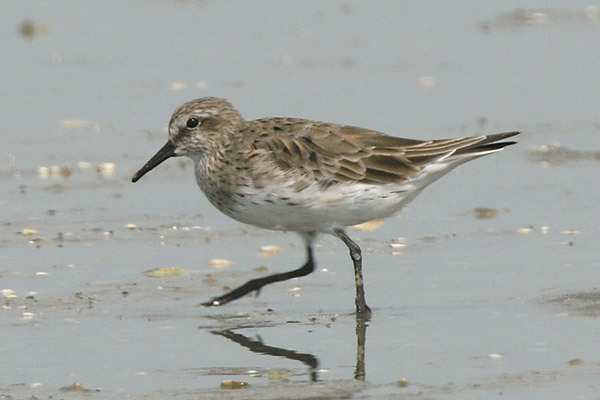 Both show the wings projecting beyond the tail, a feature which eliminates most similar species except Baird's Sandpiper.